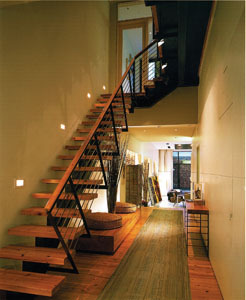 This project resulted in a sleek, modern and ultra-cool Greenwich Village single-family home, fully tailored to the living desires of its bachelor commissioner. The team opted to create two planes of glass in the entryway, allowing the daylight to fill the loft from the core of the building as well as from the four exterior wals. 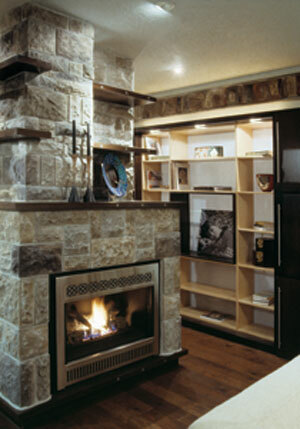 This project included a new kitchen, laundry, master bedroom, master bath and library. 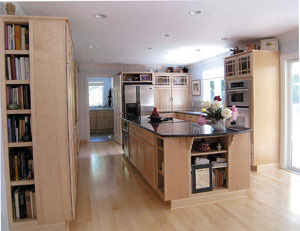 The project required extensive Shiloh and Crystal cabinetry, new bamboo, maple and cherry hardwood flooring and new paint throughout. 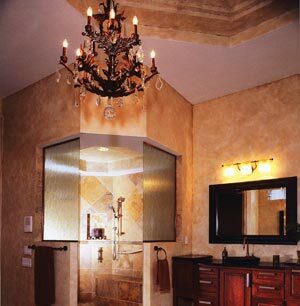 This bathroom was remodeled so that it allowed access to the shower, commode and sink, while looking stylish and moder. The new shape of the deck is its best attribute. 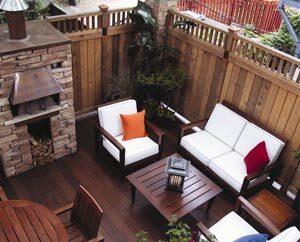 It was designed to include a focal viewing area, a main seating area, and a smaller seating area off the kitchen. 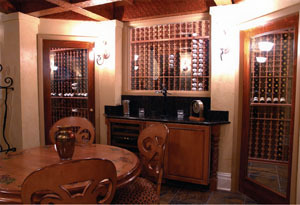 This basement includes a wine cellar, a wine tasting area, a game room, an arts and crafts room, an exercise room/guest bedroom, and a gathering area with a full kitchen/bar of custom cabinets. 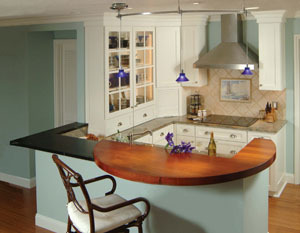 Layered countertops were used in the design, granite at the kitchen counter height, and soapstone on the raised counter butted the mahogany which was slightly higher.